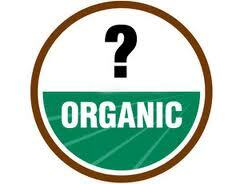 When is organic not organic? When nanoparticles are involved. A new Action Alert. The FDA has just released its draft guidance for regulated industries describing what to consider when determining whether a product uses nanotechnology or nanomaterials. The comment period is open for 60 days. The FDA seems to be trying to avoid any offense to Big Food. The agency emphasizes that it is not providing a regulatory definition of nanotechnology—merely guidance to get more clarification on the issue of what counts as nanotechnology and what doesn’t. And of course, the guidance makes no mention of organic foods. The FDA needs to state explicitly that nanotechnology has no place in organic food production. There is nothing complicated about that. Please contact the FDA today and make your views known!